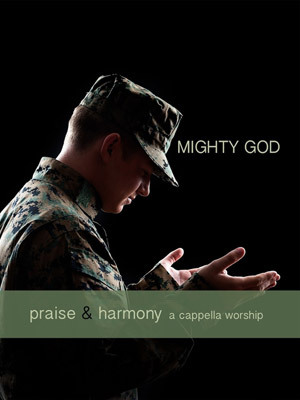 Mighty God, the sixth Praise and Harmony album from Keith Lancaster and The Acappella Company, is one you won’t want to miss! Mighty God was recorded in 2013 with nearly 250 beautiful voices singing God’s praises in congregational harmony. 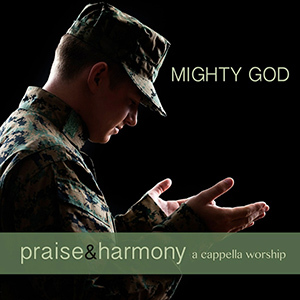 Included with your purchase of this Praise and Harmony album is a vocal training disc. This added disc is there to help you learn your vocal part on each of the wonderful songs. Many people use our Praise and Harmony albums as teaching tools to help congregations or groups learn the songs. Mighty God can be used in the same way. DG223-09 -- Mighty God -- 9 How Can I Truly Say? Created to accompany our Mighty God recording and sheet music songbook, these slides allow you to project the words and music for your entire congregation to see. These songs are not scanned from hymnals. They are designed for projection with Microsoft PowerPoint. There are three versions of each song in this package. The first has two systems of music on a plain background. The second only has one system, but is enhanced with colorful artwork to add emphasis to the lyrics. This is a downloadable product.